Could Lisbon Become The Stopover Destination For Flights From South America To Asia? In 1492, Columbus set sail from the Iberian peninsular and discovered (or introduced) the Americas to Europe. Lisbon then became the launching point for travelers heading west from the east until the dawn of mass transportation. However, thanks to TAP Portugal’s ambition with their new A330neo fleet, Lisbon might become the springboard from Asia to South America yet again. What are TAP Portugal’s plans? Essentially, TAP Portugal wants to turn its Lisbon hub into a feeding port for travelers heading west and east between South America and Asia. Currently, South America is too far away from most Asian destinations, with flights having to connect either through Los Angeles or through the middle east. The new hope would be to capture some of that trans-Pacific-Atlantic trade and connect these two massive growing regions with one another, at the same time giving easy access to europe. And they have the perfect plane to do it. Just last week, TAP Portugal took ownership of the world’s first commercial Airbus A330-900. 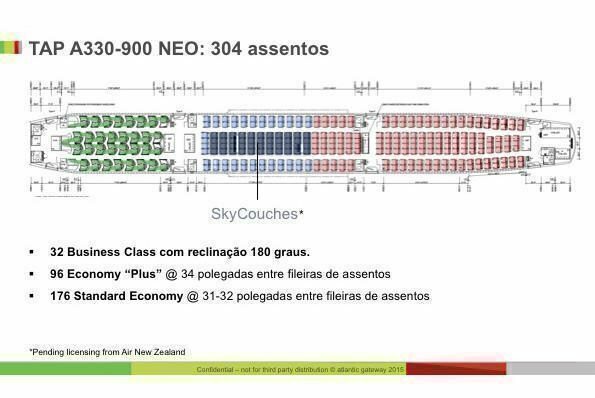 It can seat up to 304 passengers on board, fly 7,200nmi (Or 13,334km). TAP Portugal has another 20 A330-900s on order. The Airbus A330neo, of course, is a direct competitor to the Boeing 787. To better understand the range of the aircraft if it operated out of the hub of Portugal, we have overlayed it on this map. As you can see, operating out the hub of Lisbon Portela Airport (LIS), TAP would be able to reach everywhere apart from Hawaii and Oceania. Passengers from Asia would be able to easily transfer (especially those from North Asia, such as Korea and Japan) and continue on to anywhere in South America. It currently takes 28 hours to fly from Asia to South America (Via Dubai). It is possible that via Portugal (over the northern ice caps) could take far less time. With South America proving to be far more lucrative for Airlines (Such as Norwegian who continues to up frequencies and add routes) and Asia being the biggest aviation market in the world, it would be foolish for TAP Portugal to ignore this opportunity. But they might just have some competition. 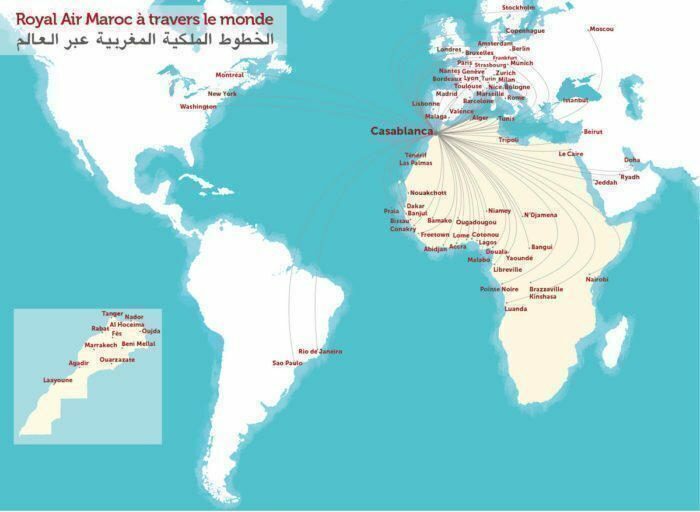 What about Royal Air Maroc? Unfortunately for TAP Portugal, they are not the only airline in a great position to become a new South America to Asia hub. The flag carrier for Morroco, Royal Air Maroc, is not only rumored to be the latest member of One World (Which we will find out later today! ), but their location makes them perfect for travel between the two continents, as well as accessing the continent of Africa. Royal Air Maroc has also invested in a fleet of Dreamliners that would make them up to the task. Additionally, if they do join Oneworld tomorrow, it would be a game changer for Star Alliance member TAP Portugal. What do you think? Is TAP Portugal and Lisbon going to be the next Dubai? Very interesting article. Of course, Lisbon could become a stopover destination for flights between Asia and South America . The writer/reporter Nicholas has written that TAP “wants” to turn Lisbon into a hub beween Asia and South America. Did they actually say that? If they did, it would be reasonable to assume that they have already done a lot of market research and are confident there is adequate traffic demand between the two continents. I have to say I am a bit surprised. To date, there seem to be very few direct flights between Asia and South America although there are quite a number of airlines offering connection service. Of all Asian airlines, currently only one serve South America (Air China). Japan Airlines, Korean Air , Malaysian Airlines and SIngapore Airlines once served South America but they have all since pulled out. And right now, no South American airline serve Asia . Once upon a time, Varig Brasil did serve Tokyo. Of course, we know Varig is not defunct. Aeromexico connects Tokyo and Seoul with South American cities, but being based in Mexico City, it is technically not “South” American but “Central” America! Hainan Airlines also flies China-Mexico City, but it does not serve any South American city. You have touched on services from Asia to South America via the Gulf (eg Dubai on Emirates). Qatar Airways from its Doha hub provide quite a number of Asian cities with South America ones. And there are the European airlines – Lufthansa, British Airways, Iberia, Air France, and KLM, to name but a few which also serve these two continents via their respective European hubs. With so many choices of airlines to fly between Asia and South America, would TAP be able to carve out a “niche” for itself in providing this quick link between the two continents? And would there be enough demand to almost fill an A330 aircraft? From your article, it appears they are confident there would be. I’d certainly hope so. I ‘d follow the progress of the implementation of this service with great interest. There is certainly a risk in any new routing/service introduction, and I wish the airline well. For my two cents, if I were managing TAP, I would try to code-share the service with some of the other Star Alliance member airlines in Asia, eg Air China, Singapore Airlines, Thai Airways, and Air India, and those in South America (Avianca and Avianca Brasil) . That way, they could also help to provide “feeder” service within the two continents. When I suggested that perhaps TAP should code-share this Asia-South America service with other Star Alliance members, I forgot to mention two very important members – ANA , and Asiana. They are significant because Brasil has the largest Japanese diaspora outside Japan, and it also has a substantial Korean population. Sorry about that!